Our Master Tea Blender has created a complex combination of world-class green, white, and oolong teas paired with delicious bits of mango, lychee, and goji berries. 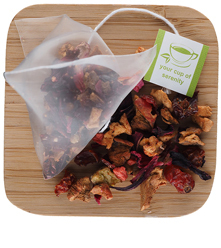 This is a unique tea that is sure to delight a wide range of palettes. 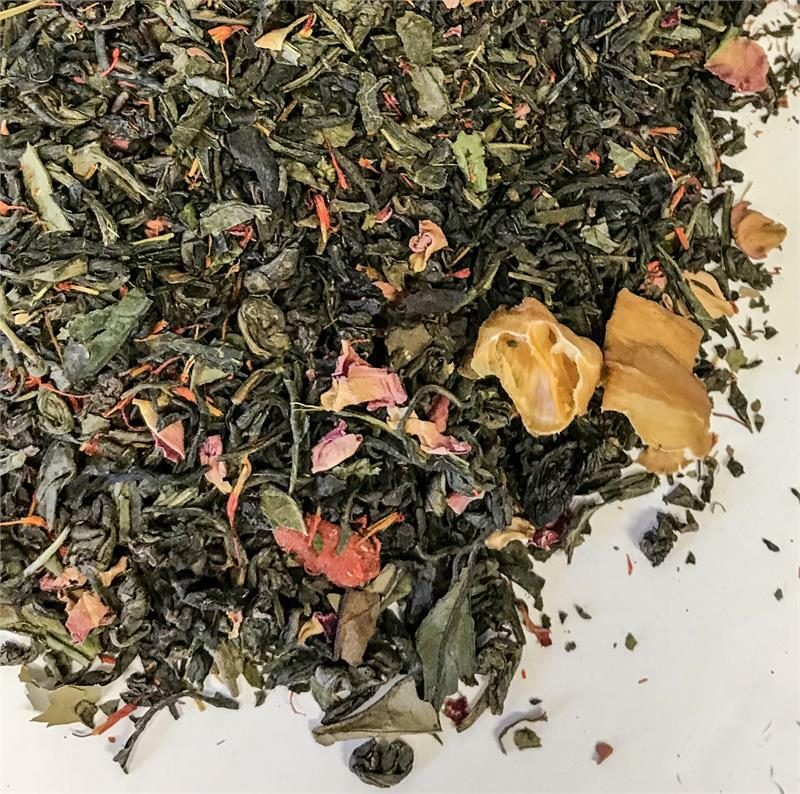 Elmwood Inn's DiversiTea blend is inspired by the colorful 2018 mural adorning the side of our headquarters in Danville, Kentucky. 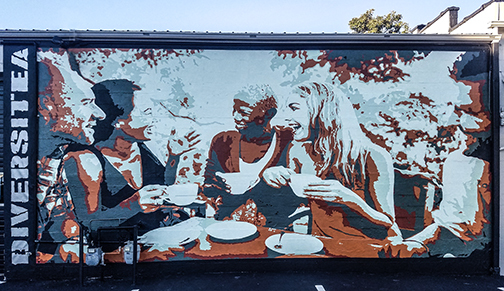 Designed by Dee Craig, a world-class mural artist from Belfast, Ireland, the scene depicts a diverse group of tea drinkers gathered around a table conversing over our favorite drink. After all, tea is the universal cup of humanity which brings millions of people together every day. To match Dee's vision we crafted this diverse blend to include different families of teas: Jasmine, Gunpowder, Chun Mee, and Mao Feng green teas; Se Chung oolong tea; Lychee tea; and Bai Mudan white tea. 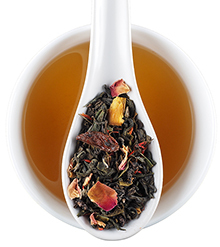 Beautiful rose petals and safflowers add colorful notes to this visual feast, while delicious mango flakes and goji berries add a bit of fruity sweetness to our aromatic and harmonious cup.